This is also our 6th round of UTV racing for the season, the UTV racers will be tackling an awesome course ( approx 4-5miles) now with orange arrows which will lead them around the track full of faster paced open trails & grass track sections right after the adult quads finish up on Sunday. Make sure you all make plans to stick around as I’m sure you will see some great battles as the points season is ending soon and some additional Pro Payouts are on the line! We have some great sponsors that have stepped up to help us give out some special awards and extra pro payouts for this event! 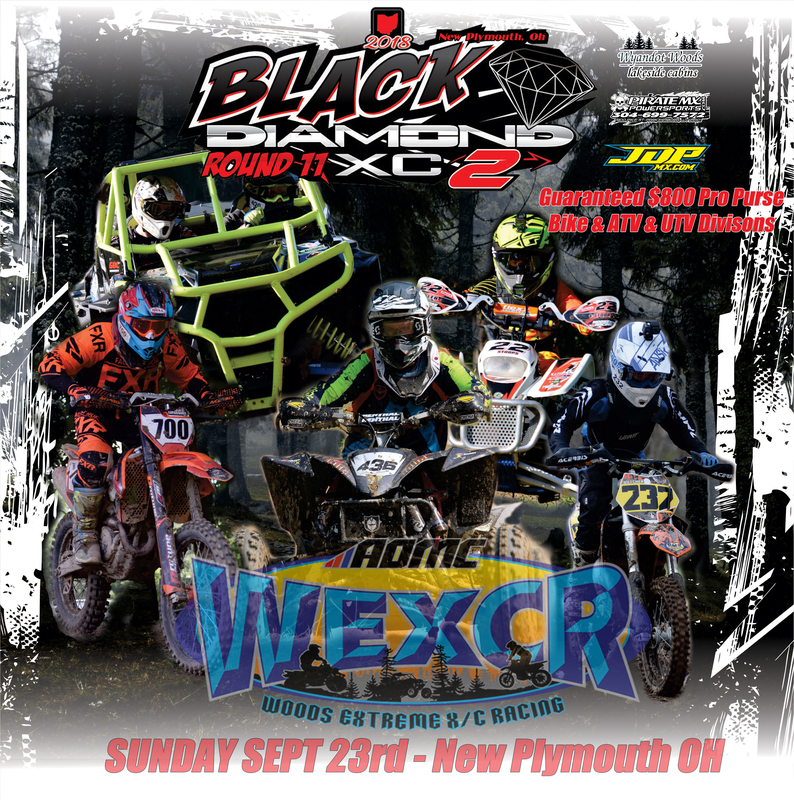 Thanks to Wyandot Woods Lakeside Cabins & Pirate MX Powersports we have a guaranteed min of a $800 pro purse for each Adult Bike & Adult Quad & UTV Pro Classes!! We will also be pitching in more to the Pro Purse based on the number of Pro entries that we have for each division, so the more the entries, the higher the pro purse could go! 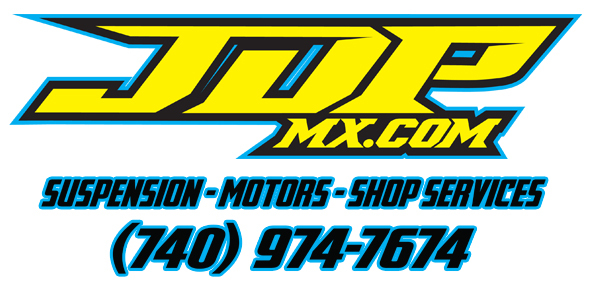 JDPmx has also been a big help in providing $30 off coupons good for any fork or shock service that will go out to everyone who can pull the hole shot on their start rows. He also has some great custom bike stands for the peewee & youth overall winners as well as coupons good for a free fork or shock service which will go to the Adult Bike & Quad Amateur Overall Winners! 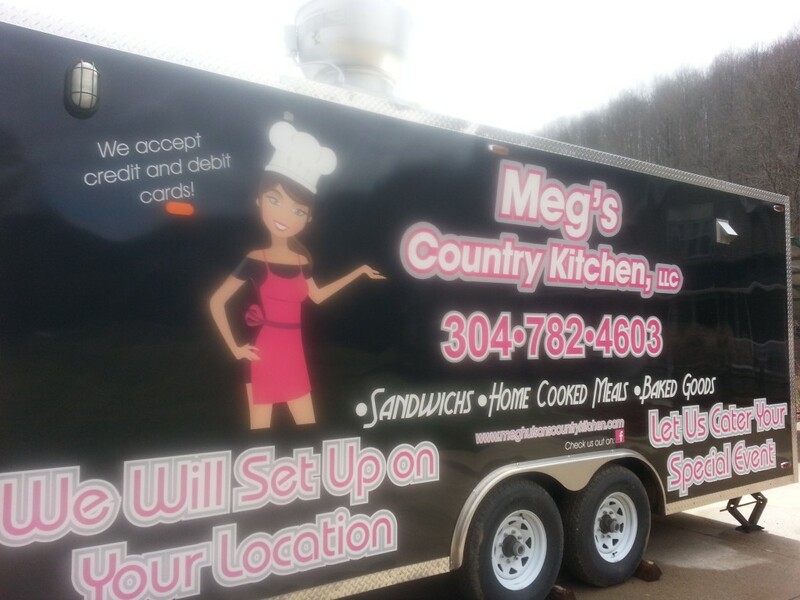 Megs Country Kitchen will be onsite with their concession trailer on raceday, click on the image to see her full menu of breakfast, lunch, snacks & drink offerings. As previously mentioned above the parking area at this facility has easy off the road access with plenty of level parking to bring in your toy haulers or campers in on Saturday and make it a weekend family adventure, as always there is no extra charge for primitive camping. 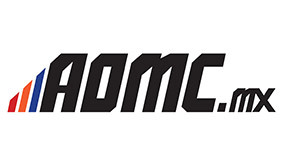 AOMC also has an awesome new contingency program in store for all racers with our series this season: Click here for more info! 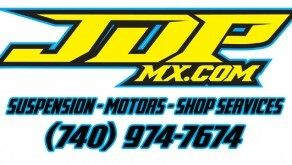 Rocky Mountain ATV/MC is back with their “Race Gas” Contingency program for all our racers: Click here for more info! It pays to FLY in FLY RACING Gear Contingency Program: Click here for more info! We do not have any membership fees & we do not require AMA cards. Riders will be required to have a transponder which is used to record your laps and laps times when you come through the finish area. Our transponders are the stick on type which go on the back side of your helmet. The transponders are a one time cost of $10.00, sorry we cant rent them out per race. It will be a one time purchase and as long as you don’t damage it, lose it or switch helmets. If you already have one of these stick on style transponders from any other race series, you are good to go as long as it passes the reader test at registration. Also there is no such thing as a “annual renewal/programming fee” with us! Camp Coker Bullet 4x4 Pro Video Highlights.